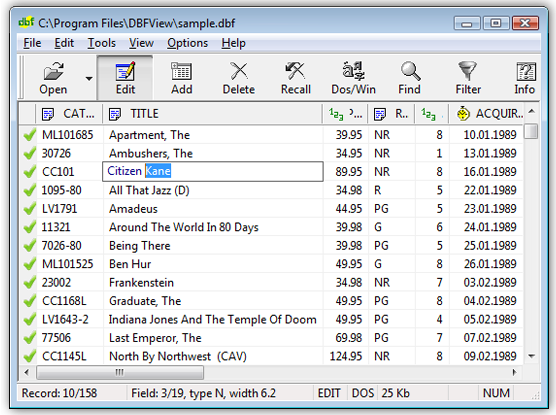 CSV to DBF Download - Allows you to convert your csv files to dbf The CSV to DBF program allows you to convert your csv (comma-separated value) files to dbf format. Generally, you can use any delimiter, such as TAB, semicolon etc. 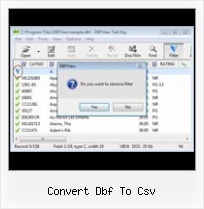 DBF to CSV Download - Allows you to convert your dbf files to csv DBF to CSV download page. Allows you to convert your dbf files to csv (comma-separated value) format.